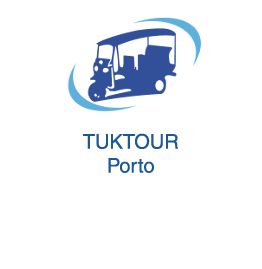 Tuktour Porto propose you the Porto – Monastery and Cellars tour. We will join the Serra do Pilar Monastery, to see without a doubt the most beautiful view of the cities of Porto and Vila Nova de Gaia from the river Douro. We'll then descend for a cellar tour with a free tasting of the best Port wines. We will join the Serra do Pilar Monastery, to see without a doubt the most beautiful view of the cities of Porto and Vila Nova de Gaia from the river Douro. We'll then descend for a cellar tour with a free tasting of the best Port wines. TUKTOUR PORTO will drive you At the top of Serra du Pilar to visit the monastery, listed as a UNESCO World Heritage in December 1996 Serra do Pilar Monastery, ex-libris de Gaia, has preserved its church and cloister, in a circular plan, single copy in Portugal. 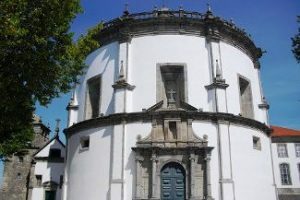 The church is a replica of the church of Santa Maria Redonda, in Rome, and is covered by a hemispherical dome. TUKTOUR PORTO share with you the passion for Port wines, come taste with TUKTOUR PORTO, some of these wines, and share with a great brand, a memorable moment. you can visit the cellars, taste the different Port wineslunch in the winery restaurant, and do your shopping. Porto is a Portuguese fortified wine, produced only in the region of Alto Douro, 100 km upstream from the eponymous town, between Peso da Regua and the Spanish border. The lower valley of the river, near Porto, is not the field of wine of that name but that of vinho verde, the local climate does not allow the grapes to reach full maturity here. The vine is mainly exploited by small producers, each with a small plot called quinta. 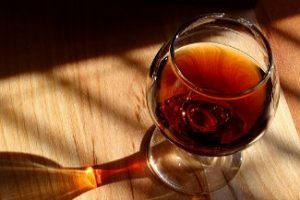 Wine is produced in the Douro valley since ancient times but it was not until the seventeenth century that the term “port wine ” appeared. It was a great success in England at the time. Following an embargo declared by the King of England to the Prime Minister of Louis XIV, Colbert, the English were deprived of their favorite wine – the “claret ” from Bordeaux and discover in Portugal wines of similar quality. With the Methuen Treaty (1703), military, diplomatic and economic cooperation treaty, they get the privilege to start trading houses in Portugal in exchange for lower taxes on Port wine. But it remains expensive and competitive with French wines. In addition, it can not bear the journey. They used to add brandy to last the journey. Then an English merchant John Bearsley had the idea to increase the alcohol level by adding brandy pure wine. This is the birth of the product in its current form, produced very quickly it is appreciated in Europe. As demand increased considerably, it led to a decrease in quality. So, the Prime Minister of the time, the Marquis of Pombal, created a committee in 1756 to ensure quality standards. The Port barrels had to be transported by boat (the Rabelos) to Vila Nova de Gaia, where the main selling companies were. These boats are not used today but can still be seen at Ribeira de Gaia. The vines are grown on a slate surface that rests on a granite subsoil. The soil is so poor in organic matter and is of such aridity that few plants are able to grow. Besides the vine whose productivity are relatively poor, only olive, almond and some brush can survive on such a barren soil. The culture is carried out on terraces clinging to steep cliffs that hang over the Douro Valley. The area under controlled designation has a continental climate rather mixed. It is very hot and dry in the Summer, and temperatures can reach 40 °. However, in winter it is not uncommon for it to snow and get quite cold.